Oliver B. '24 and Paul J. '25 attended the Young Men of Color Symposium and the (Re)defining Power Conference for identified young men at The Trevor Day School this November. They were accompanied by Dean of Equity & Inclusion, Mr. Andre and middle school science teacher, Ms. Tsujimura. 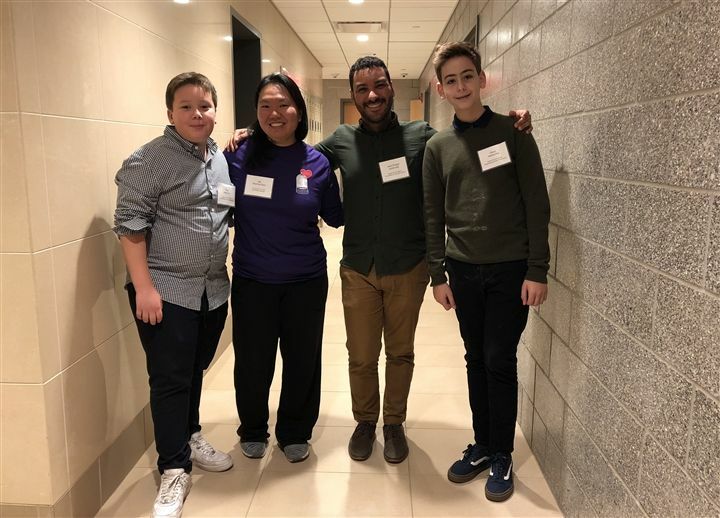 This year's theme was "Unlearning Dominance to Learn Accountability to Experience Freedom" and featured a keynote speaker and workshops geared towards exploring masculinity and social justice.